A: Motion study is for cost reduction, and time study is for cost control. B: Motion study is the creative activity of motion and time study. C: Motion study is design, while time study is measurement. Frank B Gilbreth and Lillian M Gilbreth begun to design motion study by using cameras to look at how body motions were used in the process of completing a job. This helped them to improve the processes and rearrange setups. That was known as motion study. Concept is to have smooth and easy motion to improve capability of performer and get more out of time investment done by that particular resource towards their given tasks. Frederick W Taylor started to design time study by stop watch and 2 clock method, Time studies were once used to establish performance-based wage rates and their capability. 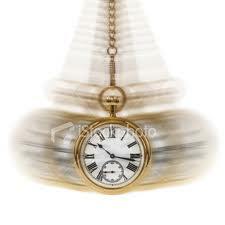 Both study get merged and known as " Time and Motion Study " after decade. Time and Motion study plays very important role in to manufacturing domain to enhance production quality and utilize maximum resource capacity in minimum time. Now a days T&M also used in to offices, Hospitals, Departmental stores and service industry to ensure maximum utilization of resources in the lowest possible timeline with customization of the Best Management cycle by T&M Analyst. said that “Time study is the one element in scientific management beyond all others making possible the transfer of skill from management to men ”. Time and Motion study invented around century back in 1885 by observing process of bricklaying on construction site. The simple yet effective observation Time and Motion study was “The horizontal line consume more time then vertical line.” So Just a minor change improves the motion such a way that more and more construction can be done in less time. another observation was to get all tools near by or handy will help to save potential time of gathering it for bricklaying purpose. So, all necessary tools like cement and water would be near by while bricklaying improved productivity and decrease span for construction for each worker. To derive the enhancement now a days we use electronic tools like stop watch, bar codes, video camera, 360 degree camara, softwares and computers.